The Trasimeno Archaeology Field School of the Umbra Institute in Perugia provides a curricular concentration in Archaeology and History based in Castiglione del Lago on the shores of Lake Trasimeno between Umbria and Tuscany. 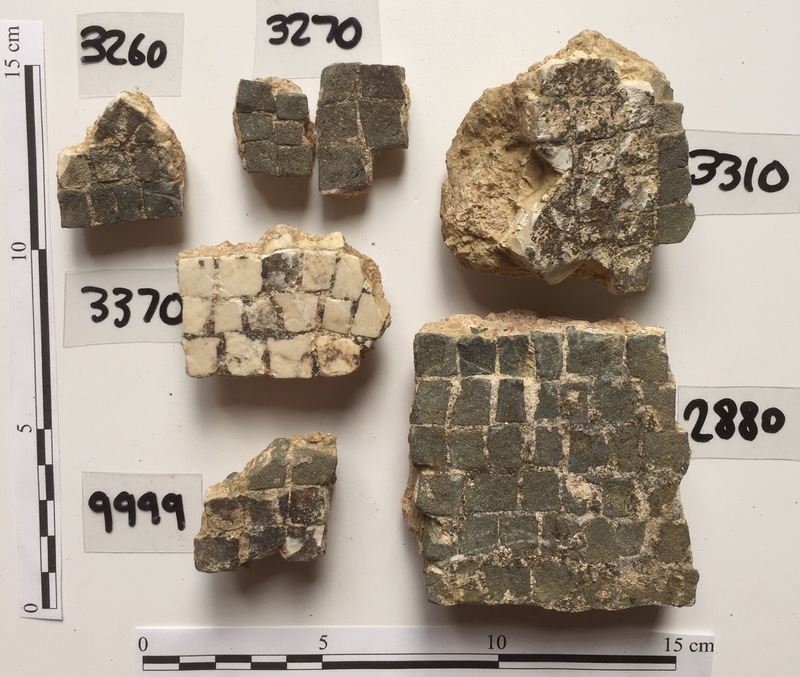 The fieldwork takes place on an archaeological area located on the shores of Lake Chiusi, on the Umbrian-Tuscan border just a few miles from Castiglione del Lago and Lake Trasimeno. On fieldwork days, a bus will take students, faculty, and staff to the site for a full-day’s work and research. Lunch will be on-site, and students will return home in the mid-afternoon. Alternating days will be spent in class, at the local museum, or on field trips to nearby sites of interest. This archaeological site was only recently discovered and this project is the first scientific investigation. After a season of survey and two seasons of excavation, findings indicate the presence of a 2nd-c BC-3rd c. AD Roman villa, including a bath complex, tile manufacturing, and a possible Roman road. The Archaeological Field School is a long term project run in cooperation with local institutions. Every summer, students contribute to the uncovering of the site and the display of artifacts in the expanding archaeological museum of Castiglione del Lago. Castiglione del Lago is a charming medieval town in Umbria, located on top of a small peninsula along the southwestern shores of Lake Trasimeno. It featured in a recent article by The Guardian as one of the best lakeside towns in Europe. A member of the prestigious I Borghi più Belli d’Italia Association (The Most Beautiful Villages in Italy, www.borghitalia.it), Castiglione lies among renowned historical cities, such as Orvieto, Chiusi, Arezzo, Cortona and Perugia. All Field School participants stay in Castiglione during the summer term, only a few miles away from Perugia and easily accessible either by bus or train. The Field School consists of two courses, one theoretical and one practical, both held in Castiglione del Lago. The program aims to provide students with a comprehensive overview of up-to-date theories and methods of archaeological research and fieldwork as applied to the civilizations that shaped the history and culture of central Italy. The Field School runs for 6 weeks. Program dates for the summer 2017 will be May 26th (arrival in Italy) to July 7th (departure). The course ARFW 350: Archaeological Field Workshop is an archaeology practicum. Students will work alongside professional archaeological staff to gain fundamental skills in archaeological research and apply them to the project. The course ARCL 340: Archaeology in Central Italy: The Etruscan and Roman Heritage, introduces students to the region’s history and heritage, and provides context for the archaeological research project. Both courses are non-prerequisite and mandatory. They include fieldtrips to various archaeological and cultural sites, including an overnight trip to Rome. Fieldtrips are designed to enhance student understanding of the territory’s history, while also providing the opportunity to study and visit neighboring archaeological sites and major museum collections. Castiglione del Lago is a charming medieval town in Umbria, located on top of a small peninsula along the southwestern shores of Lake Trasimeno. A member of the prestigious I Borghi più Belli d’Italia Association (The Most Beautiful Villages in Italy, www.borghitalia.it), Castiglione lies among renowned historical cities, such as Orvieto, Chiusi, Arezzo, Cortona and Perugia. All Field School participants will stay in Castiglione during the summer term, only a few miles away from Perugia and easily accessible either by bus or train. The Field School consists of two courses, one theoretical and one practical, both held in Castiglione del Lago. The program aims to provide students with a comprehensive overview of up-to-date theories and methods of archaeological research and fieldwork as applied to the civilizations that shaped the history and culture of central Italy. The Field School runs for 6 weeks. Program dates for the summer 2017 will be May 27th (arrival in Italy) to July 8th (departure). The Field School consists of two courses, one theoretical and one practical, both held in Castiglione del Lago. The program aims to provide students with a comprehensive overview of up-to-date theories and methods of archaeological research and fieldwork as applied to the civilizations that shaped the history and culture of central Italy. The Field School runs for 6 weeks, from the beginning of June through mid-July. Program dates for the summer 2015 will be May 29th (arrival in Italy) to July 11th (departure). The course ARFW 350: Archaeological Field Workshop is an archaeology practicum. Students will work alongside professional archaeological staff to uncover artifacts and learn essential excavation and cataloging skills. The course ARCL 340: Archaeological Heritage of Lake Trasimeno, the program’s theoretical component, introduces students to the region’s excavation history and provides context for the archaeological initiatives of today.